I will be on vacation this week and will resume blogging in early September. I hope everyone has a great end to their summer! 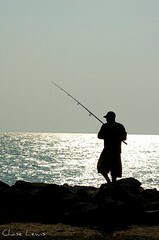 Image: Gone Fishing by Chase Lewis via Flickr from a Creative Commons license.